The Sup Guru is a participant in the Amazon Services LLC Associates Program, an affiliate advertising program designed to provide a means for sites to earn advertising fees by advertising and linking to amazon.com and affiliated sites. The Sup Guru and may contain advertisements, sponsored content, paid insertions, affiliate links or other forms of monetization. 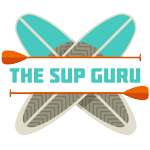 The Sup Guru makes no representations, warranties, or assurances as to the accuracy, currency or completeness of the content contain on this website or any sites linked to or from this site.